Now that production is on the way for John Wick: Chapter 3, it’s time for some major cast additions. We know that Laurence Fishburne, Ian McShane, and Lance Reddick are all returning to their roles, but The Hollywood Reporter has a list of seven new cast members for the movie. This is on top of Halle Berry, who just announced on social media that she’s joining the cast as well. Fans of Wes Anderson movies rejoice because the fantastic Anjelica Huston is one of the big names to join the cast. Next we have Asia Kate Dillon, best known for their role as Brandy Epps on Orange is the New Black and Taylor Mason on Billions. Mark Dacascos, who has had roles on various television shows including Agents of SHIELD, Hawaii Five-O, and more has joined the cast. 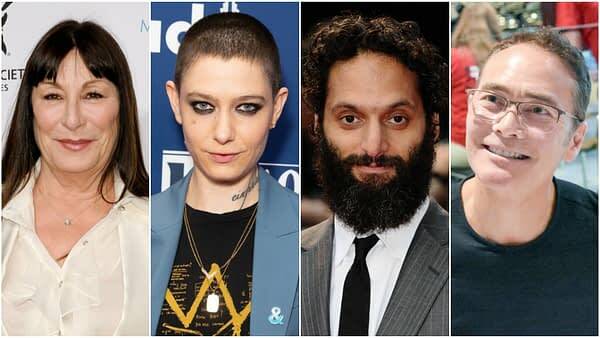 Fans of Brooklyn Nine-Nine will get to see more of Jason Mantzoukas, who is going to bring his unique brand of comedy to the production. The movie is also drawing on talent from foreign markets. Anyone who knows action movies knows that The Raid: Redemption and The Raid 2 are some of the best action movie of the last 10 years. The movie is pulling in Yayan Ruhian and Cecep Arif Rahman, both of whom had cameo roles in Star Wars: The Force Awakens, as “professional killers that Wick has to face off against”. Finally, Tiger Hu Chen, a martial artist star who was in Man of Tai Chi but also performed stunt work for the latter two Matrix films and Crouching Tiger, Hidden Dragon, will bring his fighting skills to the production as well. The story picks up after the events of Chapter 2, which sees Wick, a former assassin who tried and failed to live the quiet life, with a $14 million price tag on his head and an army of bounty-hunting killers on his trail. After killing a member of the shadowy international assassin’s guild, the High Table, Wick is excommunicato, but the world’s most ruthless hitmen and women await his every turn. The brief summary that THR was able to get makes this movie sound like a the fighting version of Mad Max: Fury Road. While that film was a movie length car chase this one sounds like it’s going to be a movie-length fight scene. We can hope that the production continues to use the unique world that they built in the first movie and don’t kill any more dogs for plot reasons. John Wick: Chapter 3, directed by Chad Stahelski, will star Keanu Reeves, Ruby Rose, Ian McShane, Common, and Halle Berry. It will be released on May 17th, 2019.